At Royal Market Inc., we tend to look further than your certificates. Do you have the capacity to think beyond what is? A passion for learning and exploring? The power to constantly push the boundaries of what can and cannot be done? If you do, you may be just the kind of person we're looking for. A three-step rigorous selection procedure evaluates the technical, intellectual and temperamental fit of the candidates and ensures that only the best are recruited. At Royal Market Inc., we do not even talk about this. We do not need to reinforce what is already a successful part of our heritage. Learning's from our past are ingrained within us so that the need to repeat is never felt. Thus we will not repeat - management & sustenance of our rapid growth, holistic continuous learning framework, retention, customer and quality orientation, customer delight, responsiveness, on time delivery (every time), our strong foundations based on our values, strong interpersonal relationships, close knit teams, high execution capabilities, continuous learning, our Intranet, our open culture - be it communication, forums for assimilation/ dissemination/ exchange or our cabin-less seating, innovative people practices, fun environment, performance linked compensation, or our life brimming with events bringing joy beyond wealth. 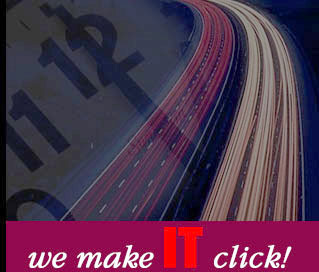 Royal Market Inc. is an expert in the delivery of e-business solutions. Currently our Oracle team has exciting opportunities for consulting professionals with at least 2 years experience implementing Oracle's e-Business Applications Suite: Financials, Human Resources, Supply-Chain, Manufacturing, Projects, or Customer Relationship modules. We are looking for highly-motivated self-starters with excellent problem solving and communication skills. If you have the requisite skills and a willingness to develop and contribute in a highly dynamic environment, then Please explore the opportunities at Royal Market Inc.
Qualification: Graduate/Post Graduate in Engineering/Computer Application with OR MBA in Systems and Information Technology. Experience: 2+years experience in business development (marketing software solutions) and/or IT consulting. Position Responsibilities: Strategy fulfillment under the guidance of Location Partner/Principal. Analysis of customers business functions and processes. Work with coordinate project efforts at the location during implementation. Develop specialized domain knowledge in different vertical segments of the industry. Project and people management. Job Know How: Strong aptitude for business strategy and client servicing. Good understanding of business processes & good analytical skills. Excellent analytical/problem solving and client servicing skills, ability to interact with top management. Qualification: Graduate/Post Graduate in Engineering (CS/Electronics / Electricals) / Computer Application. Experience: 4+ years under Internet /Client Server environment of which minimum of 2+ years in managing projects. Position Responsibilities: Requirement analysis. Scoping, work flow, business design and specifications. Planning, allocation and co-ordination of all activities and resources. Proposal preparation, Project management (deployment, delivery and quality acceptance). Build, train and lead team (s) of enterprising developers/leaders. Job Know How: Strong analytical skills. Understanding and designing of data processes, work flows, inputs and outputs for business applications of large conglomerates. Experience in any 3 or more technologies - JAVA, ActiveX, Perl, CORBA, Developer - Designer 2000, Oracle Web Tools, VC++, VB, VJ++, SQL, JDBC / ODBC. Knowledge of net based technology/methodology, project management & RAD tools & processes. Experience in project estimation and technical proposals presentations. Excellent Communication skills , analytical & problem solving ability. 6-12 months Direct work experience. Indepth knowledge of HTML , Java Script , CSS & DHTML. Should be capable of design & code development of applications in one or more of following areas : MS technologies ( ASP IIS COM SQL SERVER ), Open Platform ( ISP, Servlets, Apache, Advanced Java , ORACLE / MY SQL ). 1-3 yrs exp (Project Portfolio as proof of experience ). 6-12 months direct work experience in Design of web sites & portal based Applications. In depth knowledge of HTML. Web graphics design using Adobe Photoshop , Macromedia Fireworks etc., HTML design using dreamweaver & other related tools, Design Animation using Flash, Knowledge of basic scripting is essential.